There are two classic styles of painting which we associate with the Old Masters, sfumato and chiaroscuro, and they are as alike as cheese and chalk. But we still manage to confuse them, and which artists made use of which styles. Sfumato refers to the subtle gradation of tone which was used to obscure sharp edges and create a synergy between lights and shadows in a painting. As Ernst Gombrich2, one of the twentieth-centuries most famous art historians, explains: "This is Da Vinci's famous invention … the blurred outline and mellowed colours that allow one form to merge with another and always leave something to our imagination." 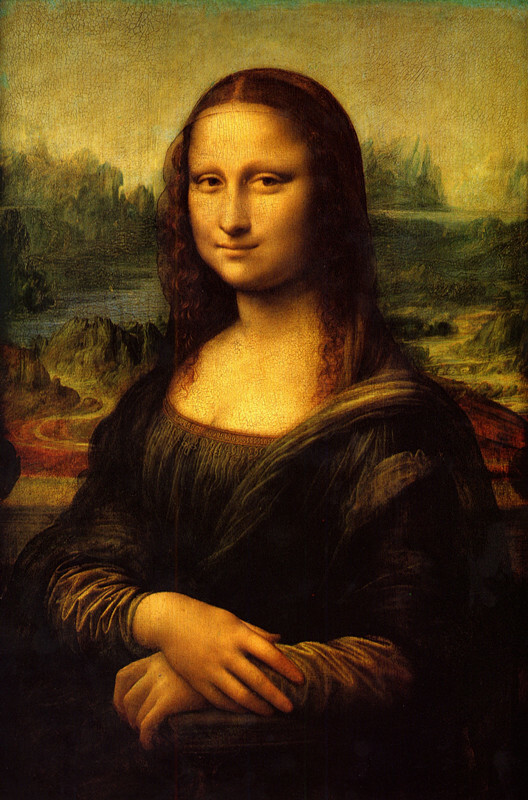 Leonardo da Vinci used the technique of Sfumato with great mastery; in his painting the Mona Lisa those enigmatic aspects of her smile have been achieved precisely by this method, and we are left to fill in the detail. How, exactly, did Da Vinci achieve this effect? For the painting as a whole he selected a range of unifying midtones, especially the blues, greens, and earths, which had similar levels of saturation. By avoiding the most luminous of colors for his brights, which could break the unity, the midtones thus created a subdued flavor to the picture. Da Vinci is quoted as saying "When you want to make a portrait, do it in dull weather, or as evening falls.3". The technique of Sfumato takes us one stage further though, away from the focal point of the picture, the midtones blend into shadow, color dissipates into monochromatic darks, much the same as you get on a photographic image with a tight focal range. Sfumato makes an choice if your portrait sitter is embarrassed by wrinkles! In comparison the paintings of Caravaggio, Correggio, and, of course, Rembrandt, have a heavy-handed approach to light and shadow. The focus of the painting is illuminated, as if in a spotlight, while the surrounding field is dark and somber – heavy, burnt browns melding to black. This is chiaroscuro, literally "light-dark", a technique which was used to great effect to create dramatic contrasts. The effect was created using successive glazes of transparent brown. Notorious now, since the brown paints used by the later Renaissance artists tended to be tar based (bitumen) or burnt beechwood (bistre) causes problems in old master paintings by residue seeping through the canvas. Leonardo da Vinci (April 15, 1452 – May 2, 1519) was an Italian Renaissance polymath: painter, sculptor, architect, musician, mathematician, engineer, inventor, anatomist, geologist, cartographer, botanist, and writer. His genius, perhaps more than that of any other figure, epitomized the Renaissance humanist ideal. Leonardo has often been described as the archetype of the Renaissance Man, a man of "unquenchable curiosity" and "feverishly inventive imagination". He is widely considered to be one of the greatest painters of all time and perhaps the most diversely talented person ever to have lived. According to art historian Helen Gardner, the scope and depth of his interests were without precedent and "his mind and personality seem to us superhuman, the man himself mysterious and remote". 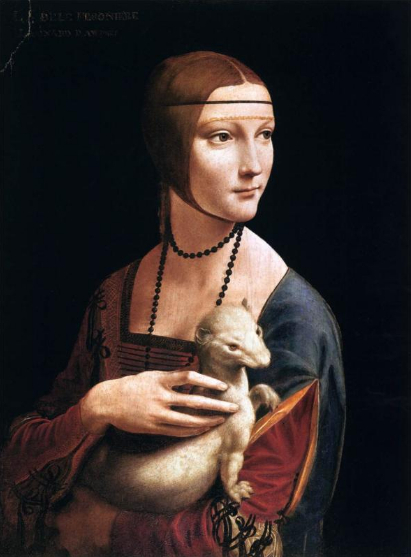 Marco Rosci states that while there is much speculation about Leonardo, his vision of the world is essentially logical rather than mysterious, and that the empirical methods he employed were unusual for his time. 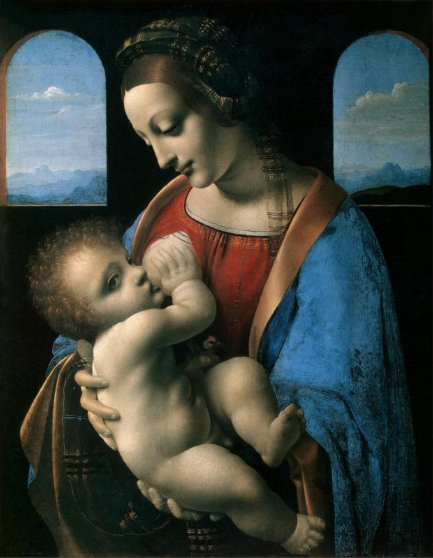 Born out of wedlock to a notary, Piero da Vinci, and a peasant woman, Caterina, in Vinci in the region of Florence, Leonardo was educated in the studio of the renowned Florentine painter Verrocchio. Much of his earlier working life was spent in the service of Ludovico il Moro in Milan. He later worked in Rome, Bologna and Venice, and he spent his last years in France at the home awarded him by Francis I.
Leonardo Da Vinci was, and is, renowned primarily as a painter. Among his works, the Mona Lisa is the most famous and most parodied portrait and The Last Supper the most reproduced religious painting of all time, with their fame approached only by Michelangelo's The Creation of Adam. Leonardo's drawing of the Vitruvian Man is also regarded as a cultural icon, being reproduced on items as varied as the euro coin, textbooks, and T-shirts. Perhaps fifteen of his paintings have survived, the small number because of his constant, and frequently disastrous, experimentation with new techniques, and his chronic procrastination. Nevertheless, these few works, together with his notebooks, which contain drawings, scientific diagrams, and his thoughts on the nature of painting, compose a contribution to later generations of artists rivalled only by that of his contemporary, Michelangelo. Leonardo Da Vinci is revered for his technological ingenuity. He conceptualised flying machines, a tank, concentrated solar power, an adding machine, and the double hull, also outlining a rudimentary theory of plate tectonics. Relatively few of his designs were constructed or were even feasible during his lifetime, but some of his smaller inventions, such as an automated bobbin winder and a machine for testing the tensile strength of wire, entered the world of manufacturing unheralded. He made important discoveries in anatomy, civil engineering, optics, and hydrodynamics, but he did not publish his findings and they had no direct influence on later science. Tags: Leonardo Da Vinci's Sfumato Painting Technique, Sfumato Painting Technique.